HDClone is a helpful, free Windows program, belonging to the category Software utilities with subcategory Disk and has been created by Miray Software. Since we added this software to our catalog in 2006, it has obtained 267,536 installations, and last week it had 13 installations. It's available for users with the operating system Windows 98 and former versions, and you can get it in many languages like English, German, and French. The program version is 6.0.7 and it has been updated on 9/24/2015. 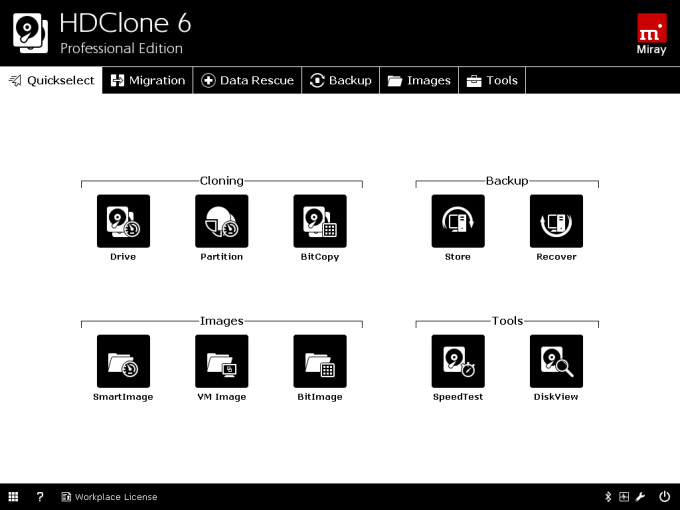 About the download, HDClone is a light software that needs less space than the average program in the category Software utilities. It's a software mostly downloaded in United States, Australia, and Hungary. this software is best for all windows user. i found this software when my friend told me about this so i m very happy. HD Clone (freeware). Very good program. Very happy with it. It did run a little slow, but it is freeware. I was able to clone my old drive to my new drive flawlessly, and the new drive booted up with out any issues. I'm very happy with this program. Freeware, and the other versions aren't expensive. Many options to choose from. What do you think about HDClone? Do you recommend it? Why?